The ENT & Allergy Centers of Texas (Plano) - Book Appointment Online! From the newborn to the elderly, our goal is to provide the highest quality and most compassionate care utilizing the latest medical advances and minimally invasive surgical options. 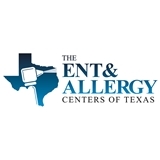 The ENT & Allergy Centers of Texas have three locations in McKinney, Plano and Allen, TX. We offer a wide range of ENT services including sinus surgery, allergy treatment, balloon sinuplasty, hearing tests, hearing treatment and many more. Call (972) 984-1050 to learn more or to schedule a consultation with one of our ENT specialists. Exceptionally personable and explained everything in terms I was able to easily understand. I really enjoyed my visit with Dr.Shane he was very nice. Dr James was amazing! He explained exactly what was wrong with me, told me what the plan was to fix the problem, and made me feel so comfortable through my pain. The entire office staff was also incredibly welcoming and made the whole process, from checking in to scheduling a follow up, so easy!